Until recently, Dr. Venny Nakazibwe, has been the Dean of the Margaret Trowell School of Industrial and Fine Art at Makerere University, Kampala- Uganda, a post she has held since 2010. Makerere University is the oldest and premium University in East Africa. Founded in 1937, Margaret Trowell School of Industrial and Fine Arts has three departments: Fine Art; Industrial Arts and Applied Design; and Visual Communication Design and Multimedia. It is one of the three Schools in the College of Engineering Design Art and Technology (CEDAT). It is a close-knit community of faculty, students, and professionals, and it is the Center of excellence in the arts for the East African region, offering programs in fine art and industrial design at Bachelors, Masters and PhD level. 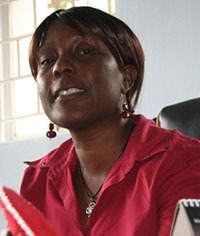 Prior, Venny Nakazibwe served as the Associate Dean of the Art School (2007-2010) in charge of academic affairs. She holds a PhD in Art and Design History from Middlesex University, UK. She is an academic at the rank of Senior Lecturer in the Department of Industrial Art & Applied Design. Venny has served on several academic and administrative Boards at Makerere University. Besides, she is a member of the College Arts Association (CAA); a member of the Arts Council of the African Studies Association (ACASA), a founding member of the Network of African Designers (NAD), and a member of Uganda Visual Artists and Designers Association (UVADA). In July 2014, Venny Nakazibwe was appointed as Deputy Principal of the College of Engineering Design Art and Technology. She is deputizing the Principal in overseeing research and academic affairs at CEDAT. 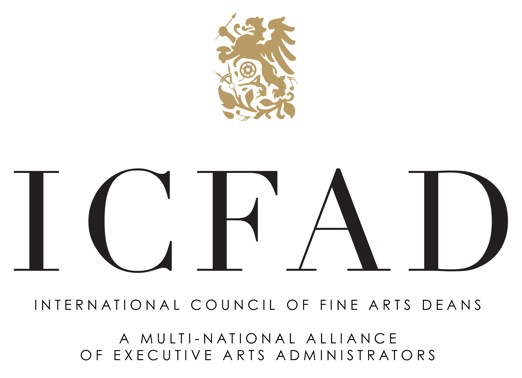 As Dean of MTSIFA, Venny endeavored to promote interdisciplinary and cross-cultural research and pedagogical practices between artists, designers and professionals in related fields in a bid to nurture creativity and to solve emerging development needs in Uganda and beyond.